VMware and Google announced that they are expanding their partnership in order to accelerate the adoption of Chromebook laptops among enterprises. 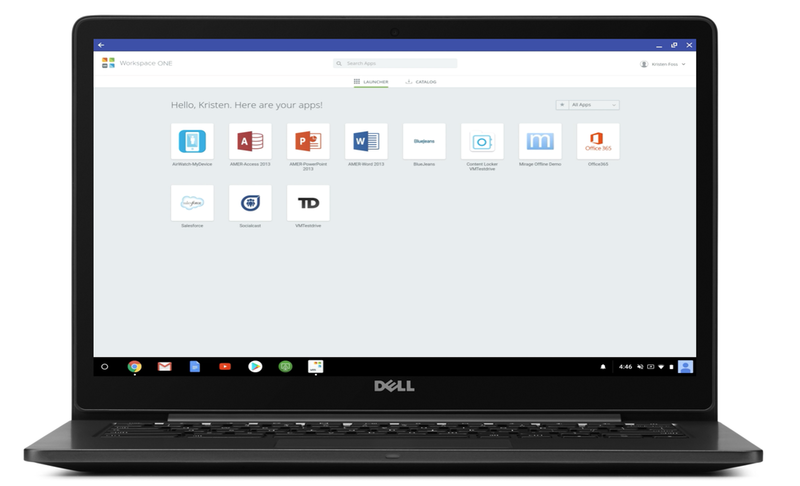 Google is trying to get more of its Chrome OS devices into the enterprise market by creating an “extended partnership” with VMware. VMware’s software Workspace One is used to allow IT departments to manage and secure apps for their employees and the software will also now extend security to virtualized apps. This extended partnership will mean more apps will be compatible with the managed software catalog, and users will also benefit from a simplified and more secure authentication process. This agreement also gives VMware the ability to control identity and access across the Chromebook line, which is important because businesses tend to use a variety of machines with different operating systems. Managing multiple devices when they’re running Windows, OSX, iOS and Android makes it a challenge to have a single policy across every OS. Google and VMware seem to be just getting started. “This is just the first step in our collaboration,” VMware senior vice president Sumit Dhawan said. Chrome OS is currently the leading device on the education market and is becoming increasingly popular among businesses, with 25% of Fortune 500 companies having IT-supported Chromebooks by 2018.